South African peacekeeping soldiers were allegedly “held hostage” in Darfur until Sudan president Omar al-Bashir was allowed to travel back to Khartoum, South African media and the secretary of the country’s largest military union have reported. Netwerk24 reported that 1,400 South African troops stationed in the Western Sudanese region were held captive by Sudanese troops when Al-Bashir, who is wanted by the International Criminal Court (ICC) for alleged atrocities committed during the Darfur conflict, was barred from leaving South Africa. 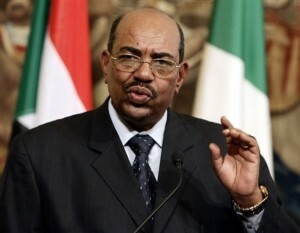 The Sudanese army withdrew only when Bashir, who was in South Africa for an African Union (AU) summit, left Johannesburg pre-empting a Pretoria High Court ruling ordering his arrest. The Sudanese troops reportedly surrounded military bases in Kutum, Mellit and Malha. South African soldiers were placed in a state of combat readiness, according to another soldier. “We would have had to surrender to save our lives, because you can’t fight a country’s army with a poorly equipped battalion,” said a third soldier.